Hundreds of people have gathered at the Marobathota High School at Moria, outside Polokwane, in Limpopo where President Cyril Ramaphosa and Zion Christian Church (ZCC) leader Bishop Barnabas Lekganyane are due to open the refurbished school. 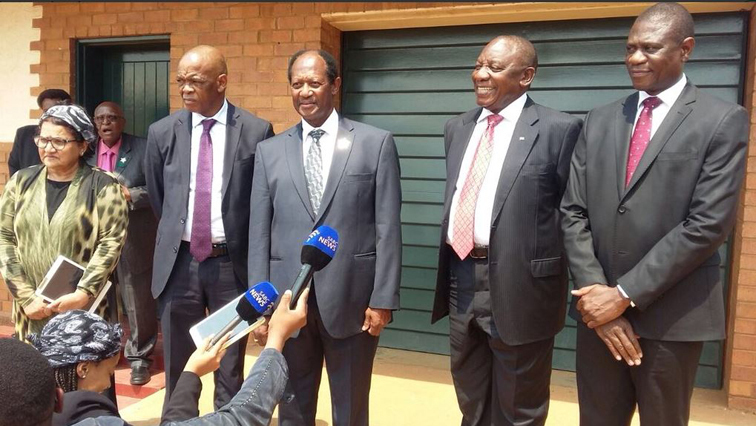 Ramaphosa and Lekganyane will also officiate in the opening of the refurbished Evelyn Lekganyane Clinic. The school and the clinic which were built by the church serve the community of Boyne and surrounding areas, east of Polokwane. The event has attracted traditional leaders and business people. The crowd is being entertained by the ZCC Brass Band and traditional dancers. A number of people, especially ZCC members, have expressed excitement that they will be able to see President Cyril Ramaphosa and the church spiritual leader, Lekganyane at a close range. Security in and around the venue is tight. The post Ramaphosa, Bishop Lekganyane to open refurbished school, clinic in Moria appeared first on SABC News – Breaking news, special reports, world, business, sport coverage of all South African current events. Africa's news leader..